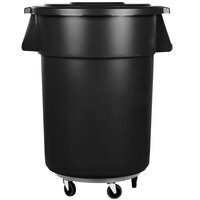 Simplify your garbage collection with these kits' black polyethylene plastic dolly and easy twist-on lock, which firmly holds your trash and recycling bins in place. 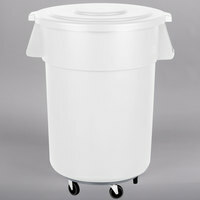 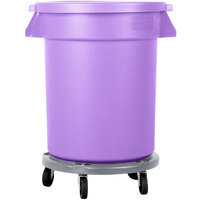 The dollies of each trash can kit also include five integrated swivel wheels, enabling your staff to effortlessly move hundreds of pounds of waste. 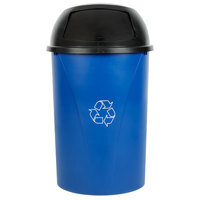 When not in use, every recycling bin kit is nestable for compact storage. 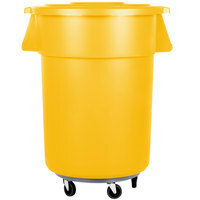 Complete all your garbage collection needs with disposable gloves, trash pickup and reaching tools, and trash can liners / garbage bags. 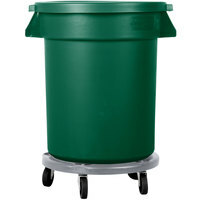 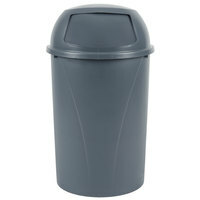 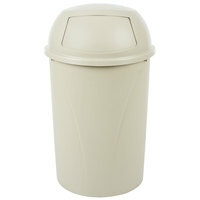 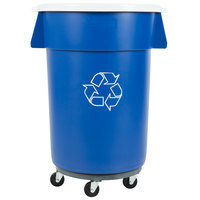 If you're wondering where to buy carlisle trash can and recycling bin kits, we have a large selection of carlisle trash can and recycling bin kits for sale at the lowest prices.